No matter the type, onset of diabetes leads to alterations in a person’s current lifestyle. 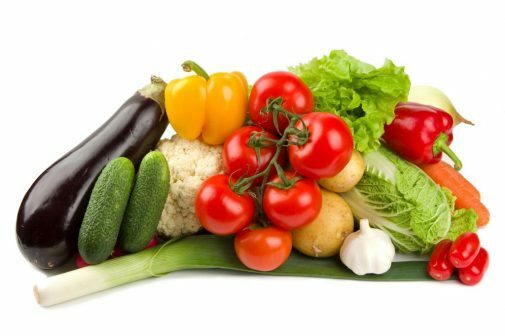 This may mean changing one’s eating style, activity level, medications and even how you celebrate events. As with any chronic condition requiring “self-management” skills, people with diabetes will have healthier outcomes when education is part of the treatment plan. One of the newest – and most successful — tools educators are using for group instruction is the U.S. Diabetes Conversation Map® program. Thousands of healthcare professionals have adopted this newest approach to teaching. The Conversation Map® program was developed by Healthy Interactions in collaboration with the American Diabetes Association (ADA) and is sponsored by the Merck Journey for Control™ program. 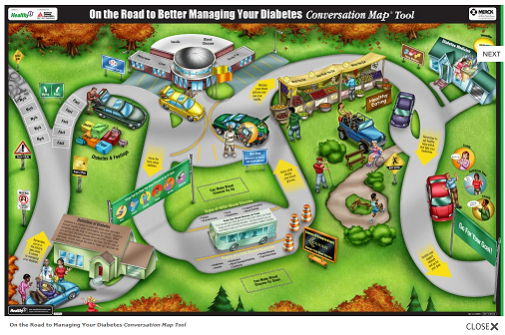 Conversation Maps® are a colorful and engaging tool designed to facilitate group discussion among three to 10 people about the important aspects of diabetes. Group classes are more relaxed and open with the Conversation Maps®, as patients are not just listening to an educator lecture on a topic. It’s all about interacting with each other and learning from everyone in the group. The educators are really just the facilitators and keep everyone on the right track. The maps promote discussion and learning in a non-threatening environment. Similar in appearance to a board game, participants draw cards with discussion questions on them and are led through the 3-foot x 5-foot maps by the facilitator. As they proceed, they learn more about their disease, each other and themselves. National studies affirm the Conversation Map® program’s effectiveness, with data that shows an increased return rate of attendees, improved patient satisfaction, and most importantly, increased learning through its interactive nature. Each map covers a different topic, leading discussion through important aspects of self-care. Experts in diabetes education point out that while people respect the advice of health care professionals, they generally act on their own conclusions. Through Conversation Maps®, people engage in an experience that provides them with a means to learn health facts through dialogue, and ultimately draw their own conclusions. 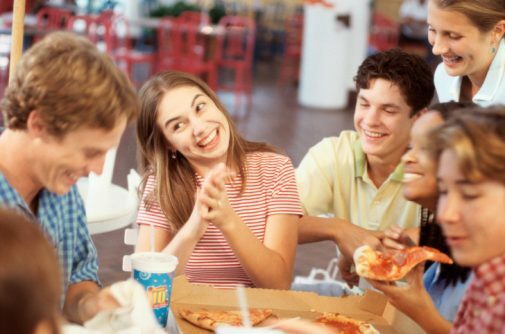 Recent data from the ADA lists the prevalence of diabetes at 25.8 million children and adults in the United States. 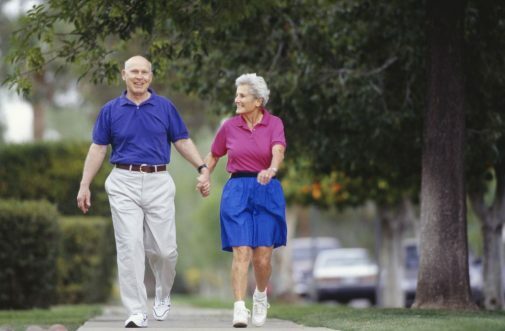 New cases of diabetes in 2010 were listed at 1.9 million in people older than 20. Learning to live with diabetes is a challenge and may feel like a full-time job. However, connecting with an education program can make the journey a bit less bumpy, and if you can enjoy yourself along the way, you’ll have even better outcomes. Linda Avery, RN, MS, CDE, is a certified diabetes educator who currently practices at Advocate BroMenn Medical Center in Normal, IL. Linda has over 35 years of nursing experience with an extensive background in developing patient education programs related to surgical procedures, diabetes and wellness. She has a strong interest in community outreach and wellness programs and is a member of the American Association of Diabetes Educators.